Imagine a time when Barnes was no more than a collection of small farms, a rural enclave a boat ride from the centre of London, where Plantagenet kings reigned and the Archbishop of Canterbury was, of course, a catholic. Barnes is mentioned in the Domesday book so can date its origins as being before 1086, but it also has a link to another medieval date of huge significance in both British and world history – the signing of the Magna Carta in 1215. It is said that immediately after the signing of the document Archbishop Steven Langton (who negotiated the historic agreement between King John and his Barons) travelled by boat from Runnymede to Barnes to dedicate the newly enlarged St Mary’s Church. The 800th anniversary of the signing will be celebrated throughout Britain this year and St Mary’s is marking the occasion with a Magna Carta festival. Between May 20 and 23 the church will be filled with Magna Carta displays including flowers arranged by local groups and schools and hand-painted representations of the Magna Carta Barons’ insignia. The churchyard will be displaying planted pots throughout the festival made by local primary school children. The display also forms part of ‘Barnes In Bloom’. And a spectacular planted design by Ross Alan will be on show by the church porch. There will be a display of Magna Carta embroidered panels, created by Rhoda Nevins, prior to being displayed by Runnymede Borough Council. Also on display will be a new altar cloth and vestments commissioned for the 800th anniversary, from the prison-based charity Fine Cell Work. The festival which will be opened by Melvin Bragg will also include talks about the Magna Carta aimed at both adults and children. You can find out more about what’s on by clicking here to download the programme. Local resident Steven Mindel, who was very active in the ultimately unsuccessful battle to keep the former Membery's site as a retail premises, has written an angry letter to the Richmond and Twickenham Times after receiving a Liberal Democrat campaign leaflet. 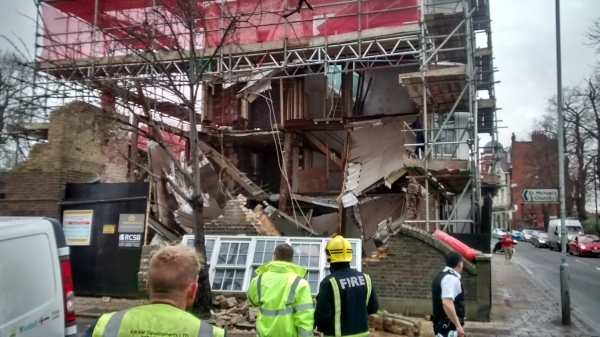 The leaflet promised that the LibDems would listen to residents’ concerns about the number of estate agents in Barnes and ‘act accordingly’. Mr Mindel pointed out that the change of use application for the former Membery’s site was pushed through with Liberal Democrat support and that attempts to engage the Liberal Democrats with the campaign against the new tenants of the shop were entirely fruitless. He says " We want support from all the political parties in our battle to keep estate agents out of existing retail premises in Barnes. However, it leaves a nasty taste in the mouth when we have asked for that support, heard nothing back and then received campaign literature which talks about support which has so far been unforthcoming. After all the recent media coverage on the Barnes estate agent issue. it appears that the LibDems are jumping on the bandwagon and hi-jacking an issue for political gain." You can read the full text of Mr Mindel's letter below. A new survey has shown that Barnes' shopping streets have the highest concentration of independent shops in the UK. The research from The Local Data Company shows Barnes topping the league with nearly 97% of its shops being independent, contrasting with Telford in Shropshire where less than 20% of the shops are independently run. Town Centre Manager Emma Robinson has lost her planning battle to prevent change of use for the Membery's childrens clothes shop opposite Barnes Green from A1 (retail) to A2 (office or retail). In a close vote councillors on the planning committee passed the change of use by a margin of one vote. You can read Emma's argument against change of use below, and also view the voting record of individual councillors. The OSO was packed on the evening of Tuesday November 19 for a presentation of the results of the Big Barnes Ponder. Over 300 people came to the Barnes Ponder on Saturday 19 October to contribute their suggestions about what could make Barnes a better place to live, conduct business and visit. The outcomes of the day are currently being analysed and summarised for the community report back of the "Vision for Barnes" at 7.30pm on Tuesday 19 November at the Old Sorting Office. Can one day shape the future of Barnes for the next ten years and beyond? That's what organisers of the Big Barnes Ponder are hoping. This one day event at the Old Sorting Office aims to get the people of Barnes thinking about their community and what will make it better. Local photographer Andrew Wilson has found a novel way to promote his work - his pictures are on display in The Sun Inn by the pond. Visitors can enjoy his wonderful photography of Barnes both on the walls of the pub and in copies of his book which are available to browse through. Estate agents Chesterton Humberts have abandoned plans to move into prime Barnes retail site in response to local opposition. 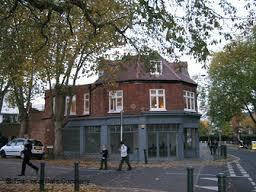 An un-named artisan food shop is now the new potential tenant of 49 Church Road. Bookmakers Ladbrokes are making plans to move into two prime Barnes sites - the old HSBC premises at the corner of Church Road and Elm Grove Road, and another site on The Broadway at the corner of White Hart Lane. The newly established Barnes Town Team is planning an event to involve the community in creating a vision for the future of Barnes. The Barnes community visioning day will be held on 19 October at the Old Sorting Office. The Barnes Trail will be officially launched on June 22 with a special quiz for local children. The Castelnau Community Centre has closed for 3 months for a big refurbishment after winning a £30,000 grant from Richmond Council. The centre which runs brilliant community initiatives in North Barnes will open again on September 16. Interested retailers unable to take up lease to 49 Church Road after estate agents Chesterton Humberts decide to take advantage of new planning law. Zac Goldsmith leading campaign against Chesterton's proposed move. Over 1,000 people turned out for the Mega Rally at Barn Elms Sports Fields on Saturday April 27, protesting against the plans to build a third runway at Heathrow. Stevie Tate Bauer a West End professional who has performed the principal role in Wicked is coming to Barnes to run classes in drama techniques, dance, voice and singing. Yoga at the Mary's Living & Giving Shop! Who would have thought of using a shop as a venue for a yoga class, but actually it's a great idea. And, even better, if you sign up for yoga at the Mary's Living & Giving Shop a portion of the class fee will be donated to Save the Children. Although Barnes may seem to be hibernating at the moment there's plenty going on behind the scenes and 2013 is going to be a busy and exciting year. There are plans, to be revealed soon, to revamp the OSO. The new Olympic Cinema will open its doors sometime this spring, and with the artistic director for the cinema having cut his teeth at the Electric in Notting Hill, expect a great range of films and other events. March 16, 2013 will see the launch of The Barnes Music Festival and appropriately the festival will feature the works of Barnes’ most famous musical resident – the composer Gustav Holst. Later in the year expect to hear more from the new Barnes Town Team which will work to encourage locals and visitors alike to support our local shops and businesses. Look out for more information in the coming months. In the meantime here are a few dates for your diary for the events to look forward to in 2013. 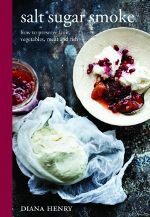 The Sunday Telegraph cookery writer Diana Henry will be signing copies of her new book Salt, Sugar, Smoke at The Dining Room Shop as part of the exciting array of events at The White Hart Lane Christmas Shopping Evening. The sun shone on the Barnes Food Fair for a second year running on September 22 and more than 3,000 people came out to enjoy a fantastic array of artisan foods. 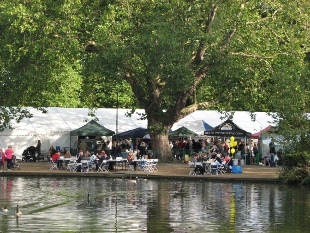 Over 80 local and regional food producers set up shop in the grand marquee on Barnes Green and also created an open air restaurant area where visitors could choose between raclette, hog roasts, crepes, scallops and much more to put together their own picnic lunch on tables laid out in the autumn sunshine next to picturesque Barnes Pond. Close to the marquee, fair goers were treated to some fantastic talks and cookery demonstrations from Phil Howard, Rowley Leigh and William Sitwell in the Barnes Green Centre. The event, organised by volunteers for the Barnes Community Association, raised thousands of pounds for local charities and much of the money raised will go towards a much needed upgrade to the kitchen at the Age UK Barnes Green Centre which is a social centre for local pensioners. ‘We aim to make the event a really relaxed and enjoyable day out’ says organiser Charlotte Sharpe Neal’ we have a really eclectic mix of music playing through the day and we’re very careful about who exhibits at the event so we can be sure that people will enjoy brilliant food. ‘Barnes has lots of small specialist food shops and some great restaurants, we’ve also got some wonderful local food producers and it’s great to be able to showcase them to visitors from outside Barnes. Amongst this year’s local exhibitors were new Barnes company Macaron, the very established and successful French Dressing Company which was a Barnes start up business and the brilliant Pickle and Rye an American style sandwich shop run by two enthusiastic young American foodies based in neighbouring Mortlake.